The inspiration for the second series of the BBC's phenomenally popular Call the Midwife, starring Miranda Hart. 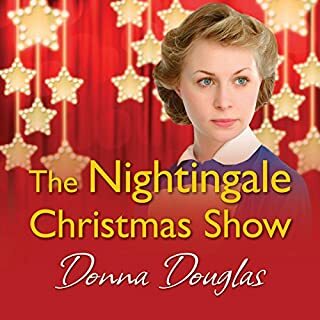 In this follow-up to Call the Midwife, Jennifer Worth, a midwife working in the docklands area of East London in the 1950s, tells more stories about the people she encountered. 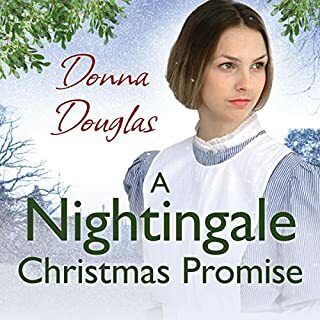 There's Jane, who cleaned and generally helped out at Nonnatus House - she was taken to the workhouse as a baby and was allegedly the illegitimate daughter of an aristocrat. 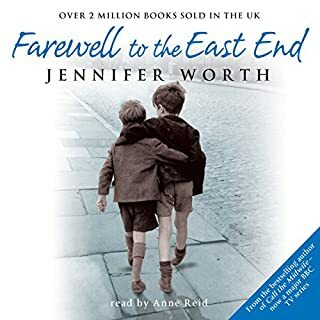 Written by Jennifer Worth, Farewell to the East End is one of the trilogy of memoirs upon which the popular BBC series Call the Midwife is based. London's East End in the 1950s was a vibrant place-a close-knit community of families where children made playgrounds on bombsites and a lively social scene emerged. 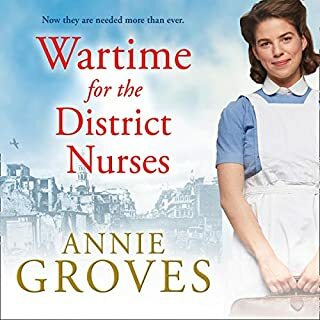 The last collection of true-life nursing stories from the number one best-selling author of the Call the Midwife series, soon to be a major BBC TV series. 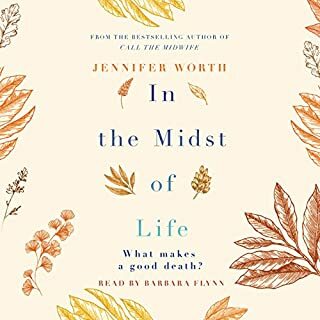 Jennifer Worth's best-selling memoirs of her time as a midwife have inspired and moved readers of all ages. 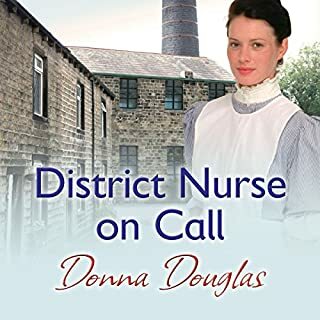 Now, in In the Midst of Life she documents her experiences as a nurse and ward sister, treating patients who were nearing the ends of their lives. ‘A second’s silence and then an almighty scream. It was the most moving thing I had ever seen … A baby, a real live baby, another human life had entered the world. 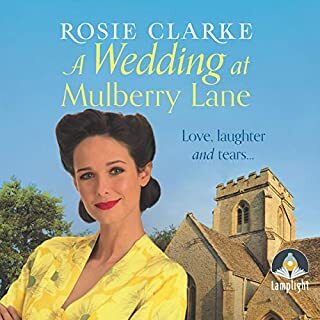 It didn’t seem possible and yet I had witnessed it with my very own eyes.’ Born into a happy working-class North London family in the mid-twentieth century, Katie is determined to ‘do something’ with her life. 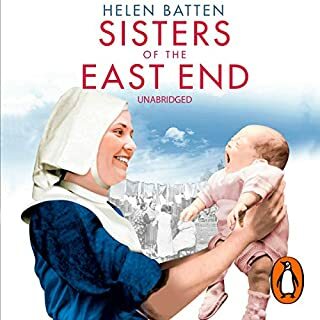 Working in the impoverished East End in the 1950s, she meets the Sisters of St John the Divine – a community of nuns dedicated to nursing and midwifery. Jennifer Worth came from a sheltered background when she became a midwife in the Docklands in the 1950s. The conditions in which many women gave birth just half a century ago were horrifying, not only because of their grimly impoverished surroundings but also because of what they were expected to endure. But while Jennifer witnessed brutality and tragedy, she also met with amazing kindness and understanding, tempered by a great deal of Cockney humour. She also earned the confidences of some whose lives were truly stranger, more poignant and more terrifying than could ever be recounted in fiction. 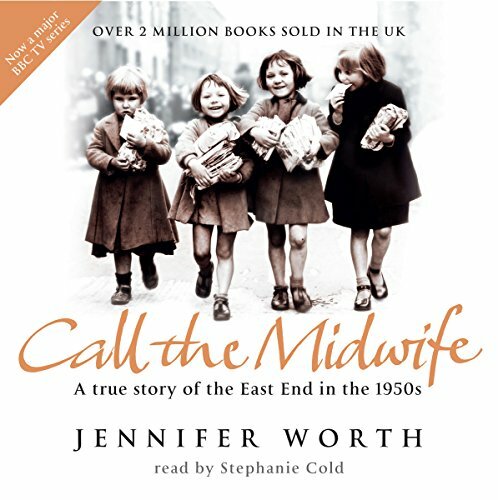 Attached to an order of nuns who had been working in the slums since the 1870s, Jennifer tells the story not only of the women she treated but also of the community of nuns (including one who was accused of stealing jewels from Hatton Garden) and the camaraderie of the midwives with whom she trained. 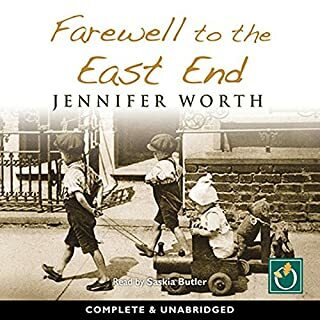 Funny, disturbing and incredibly moving, Jennifer's stories bring to life the colourful world of the East End in the 1950s. 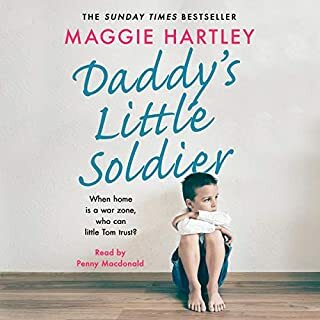 The Audible version misses out huge swathes of Jennifer Worth's original story. 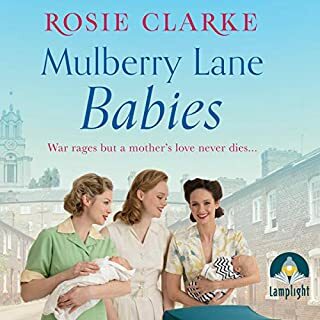 It would be more accurate to call it "Half of Call The Midwife". If you could sum up Call the Midwife in three words, what would they be? Which character – as performed by Stephanie Cole – was your favourite? I found Stephanie's narration fantastic. all the characters were brought to life with warmth and compassion, especially Sister Evangelina. The cockney banter is lovely. 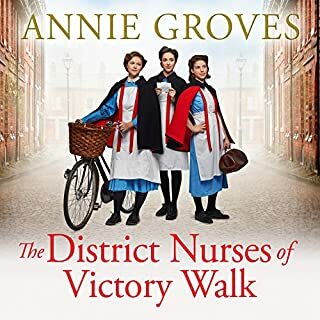 True factual history of life before the Dawn of the NHS in 1948. The year I was born to a young Mother in London who had run away from the Vallies in S.Wales. Had my birth been any sooner well I might not be here today. A very well written book. abolished. That young children are cared for by a welfare state. Profoundly moving book. 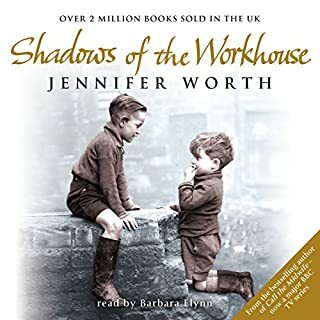 Fantastic true accounts of courage, sadness,life and death and an insight into the squalid and over crowded housing of yesteryear....Onto book 2 now...Shadows of the workhouse. 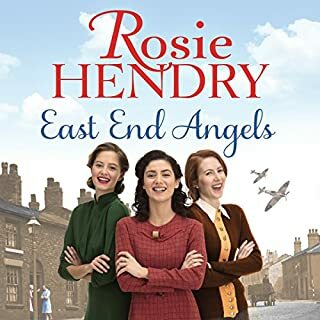 I am a big fan of the TV series, and these small snippets of stories, was like a hug in a book, or story, the birth of a baby can be many things, happiness, and sadness, the characters of the East end, is a long ago memory, of a time long gone. 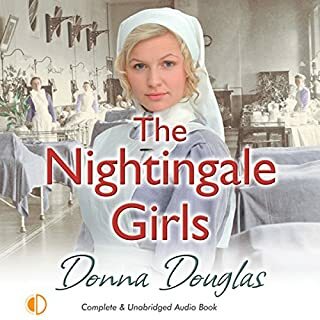 I loved the TV series, so I was thrilled to get the trilogy on audible. However, I didn't realize that they're the abridged versions. I loved the book, but on finishing it, I felt that something was missing. It just didn't feel complete. That's when I realized I had bought the abridged version. I now returned the sequels, which I haven't listened to yet, and of course I'll keep his one. 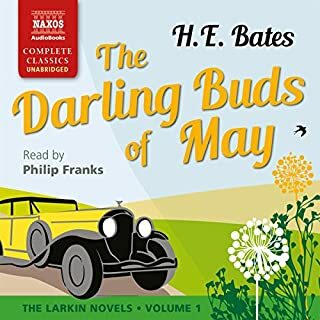 It is a great book, very interesting, and beautifully narrated, and it certainly deserves five stars -- but if you can get hold of the full version, I'd recommend you buy that. 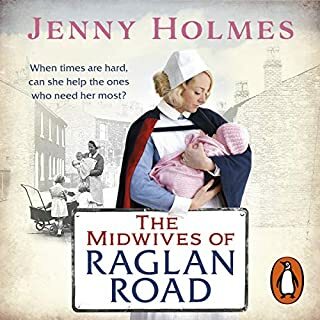 Absolutely fantastic insight into community midwifery and nursing. Insightful, charming and funny. Can’t recommend it enough. This book is a life- changer. 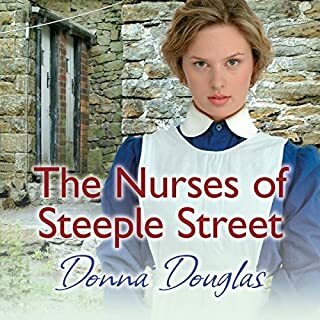 I have watched the series and just could not let go of the sisters and nurses of the Nonnatus house- and indeed the book has proved itself just as endearing and beautiful. Currently starting on book 2.